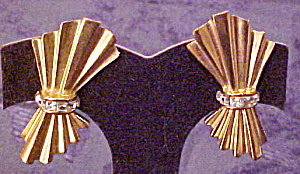 1980s bow earrings with rhinestones. Goldtone metal. Clipback.